Are you looking to secure a loan to grow your business? The numbers aren’t exactly encouraging when it comes to approval rates. Alternative lenders approve around 56 percent of small business loans, while traditional banks (who have less experience with non-collateralized loans) only approve around 27 percent. Despite these somewhat disheartening statistics, there are several steps you can take to strengthen your application and make the best case for your business. Keep in mind that lenders are essentially risk managers. When they review your application, they’re looking at the amount of risk involved when it comes to your ability to repay the loan. Follow these five steps to minimize the risk your business represents and improve your chances of approval. In the eyes of a lender, cash flow is king. The strength (or weakness) of your business’s cash flow is one of the main factors lenders consider when deciding whether or not to approve your loan. Ideally, lenders are looking for a history of positive cash flow — when more money is coming in than going out. They want to see that you have enough money to cover all of your monthly expenses, with enough left over to comfortably make a hypothetical loan payment. Dips into the negative are a red flag that indicate risk. Depending on the lender, anywhere from 90 days to 24 months of your cash flow history will end up under a microscope. It pays to get serious about cash flow management now so you can build up a history that lenders are comfortable with. Intuitive online tools can help you get a handle on your cash flow, and simplify analysis with visuals like charts and graphs. Always check both your personal and business credit before you apply for a loan, and fix any errors that may be dragging down your score. Depending on the lender and the type of loan you’re requesting, one or both reports may be pulled as part of the loan approval process. Your business credit will likely be taken into account if you’re applying for an SBA loan, or a loan from a traditional bank. If your business is new and has yet to build up business credit, your personal credit will often be taken into account, along with that of other majority stakeholders. In lieu of business credit, banks often judge your ability to repay the loan based on your personal score. Not only will your credit scores affect your chances of getting approved for a loan, they can impact your interest rate should you get approved. If either your business or personal credit score is low (below 600 for personal credit), take steps to improve it before you apply for a loan. If your credit is less than stellar and you don’t have the luxury of time to improve your score, you still have options. Alternative lenders are generally more lenient when it comes to credit scores, and often weigh cash flow more heavily when making their lending decision. Asking for either too much or too little can hurt your chances of getting approved for a loan, depending on the type of lender you’re working with. Need a loan that’s less than $500,000? Traditional banks may not be your best bet. Historically, they tend to lend higher amounts — and have less experience dealing with loans that may not be backed by collateral. Alternative lenders, on the other hand, are more likely to lend small amounts, and the application process can be much faster and easier. The key, of course, is to show these lenders that you can repay the loan (see number 5). To increase your chances of approval with these lenders, only ask for as much as you can comfortably pay back. Would you let a friend borrow $10,000 without knowing what it’s for? The same goes for lenders. A surprising number of applicants fail to tell lenders exactly how they plan to use the loan. Always define how you’ll put the capital you’re requesting to work to grow your business. A convincing business plan is a great opportunity to remove any doubts a lender may have about your ability to repay the loan. Laying out a plan for the funds you’re asking for will go a long way to boost a lender’s confidence in your business. This common sense step goes right back to your all-important cash flow. When a lender scrutinizes your financials, what they’re really looking at is your ability to repay the loan you’re requesting. If you ask for an amount without showing exactly how you plan to pay it back, your application will likely land in the rejection pile. Cash flow projections will go a long way to show a lender exactly how you’ll cover those loan payments. Fortunately, showing lenders where your business is headed doesn’t have to be difficult. Those same online tools that helped you analyze your past and current cash flow can help you create a future projection that you can hand over with your application to improve your chances of getting approved. Eddie Davis – As VP of Business Development at FINSYNC, Eddie has the great pleasure of introducing a world-class financial platform to partners ranging from financial institutions to accounting, advisory, payment and others parties interested in facilitating better business through automation and analytics innovation. Being a small business owner has lots of very difficult challenges that need to be met and overcome. Managing your finances is one of those many challenges that will no doubt be a substantial consideration for those hoping to maximize profits in a small business. Fortunately, there are many ways that you can keep your finances in order. Organization is the key to keeping your financial situation in order and up to date. You will need to keep up with all of your receipts and invoicing to ensure that when taxes come or even a budget check, that you have an accurate number of how much you have spent and have left. You will also need to keep track of all of your loans and debts you may acquire. You do not want to mix your business and personal expenses. It is best for you to have separate accounts for each. Unless absolutely necessary, do not take money out of your personal accounts in order to “help pay” extra bills. The company should not spend more than it has made without the ability to pay it back through payments. Considering the advice given so far, we need to look at the other side of things. There will be things that you will have to spend a lot of money on for your business. Your business will not generate a profit unless you invest some money in it. However, there are several ways that you can do this wisely. One example you consider is buying used equipment to start off. You can also eliminate unnecessary spending by looking over costs that are not absolutely necessary for the immediate growth of the business. Additionally, if you feel like you are spending too much money on your office, then you should consider moving to another space or working out of home until you have enough money to fund the kind of office you are looking for. A Certified Public Accountant can help you manage your business finances. They will also be able to tell you about the tax laws and how they apply to your business, which is extremely important, considering just how much rules can change from businesses from state to state in the US. Furthermore, a CPA can also assist as a tax advisor who can give you professional advice to help you save money in the long term. You may be eligible for a number of tax advantages as a small business owner and a CPA can give you the best advice on how to make the most of that opportunity. It is estimated that 1 in 12 small businesses will have to close their doors due to the injury or illness of their employees. That is why it is important to have disability insurance. You will also need to have personal life insurance. If you are unsure about the type of insurance that you need, you should speak with an insurance agent. On the off chance something goes wrong, it is good to make sure your financial future does not hang in the balance. One of the reasons that many business owners fail is because they do not have the right people in their corner. You will need to have a network of people who can support you and give you the valuable advice needed to run and keep up a business. In addition to an accountant, you will also need a tax advisor, lawyer, and just find ways to mingle with other business owners or investors at conferences that allow you to meet people who have been through your situation and have better insight than you might. When many business owners get paid, they invest all of their money into their business. They take care of their business expenses and buy new things to help the business grow without first making sure their own personal dues are met. It is important to make sure that when the money comes in, you pay yourself first. You should be saving 10 to 20 percent of your income and make sure you are getting what you need to make a living while running the business. In summary, it can be very difficult running a successful business. Staying ahead of finances can be one of the most important parts of building a company that will succeed and grow continually. Tools such as Quicken can help you personally keep your finances in order so you always know how much you have in the bank and how much you can spend. This is not just important in the business world, but your personal life as well. Hi, I’m Austin Winder, a Public Relations Specialist and contributing author for Uppercut Box. I live in Memphis, TN and graduated with a business and marketing degree from the University of Memphis. In a small business benefit, your future is on the line. You need to have a good overview of all the expenses and revenue. Perfect bookkeeping can save you a lot of time, money, and nerves. To help you establish an effective bookkeeping strategy, we’ve assembled this 7-tip list. If you like assessing the numbers and want to keep crucial business matters in your own hands, bookkeeping is the way out. Let’s explore more. For an up-and-coming brand manager or CEO, it may be tempting to achieve as much as possible in as little time as possible. The over-dynamic outlook could lead to severe financial consequences. In a lot of cases, company heads will use company money for personal expenses and vice versa. Doing so will only cause additional chaos. When your business is only starting, spending a lot of money is an attractive thought. To prevent tax-related headaches, issue a business credit card along with a separate business account. Taking care of this takes mere minutes and allows you to earn your company a proper credit rating. Bookkeeping was once considered a difficult and time-consuming activity. Accountants and bookkeepers had to do everything manually, but a lot has changed in recent years. With the development of AI technology and automated software, bookkeeping has never been easier. There are no more tedious instances of manually creating spreadsheets. Bookkeeping software makes our lives easier. For one, the data you need is stored in the cloud. Unlike physical storage, cloud storage is safe from any compromising. No matter the conditions or situation, your data will be stored safely. In addition to this initial security feature, small businesses should immediately connect their banking accounts to bookkeeping software. By establishing this connection, you will ensure that your books are up to date and that there is no need for last minute checks. Most bookkeepers and companies keep track of their reports and records on a quarterly basis. A tip that will make your life easier is to check your reports on a weekly basis. The interval here will give you enough time to grow your business, but you’ll also be able to identify any changes in your revenue. Having a clear overview of your transactions and the overall financial state is a business advantage you deserve to have. With each new product launch or a promotion, you can see how good the move was by looking at the reports. By analyzing reports from a certain period, you can see if a move was successful or not. If it was, you can repeat it and invest more money or stop implementing it if it was a failure. Running a small business can face you against some hardships. If you have a dedicated team of employees, tracking their hours might be somewhat difficult manually. Without knowing exactly how much has someone worked, you risk budgets deficits, imprecise payments and other spending that you don’t need. To prevent this from happening, have your entire small business use time tracking software. Employees will also find the change refreshing. With time tracking software, they will know exactly how much they’re being owed and when they have vacation time and what was their sick time. Bookkeeping will be much easier, and your small business will grow exponentially. Integrate the tracking software and the time tracking software for ultimate efficiency and swiftness. Brand growth is something everyone wants to feel, but not to experience. Why is this the case? When small businesses grow, there is another echelon of responsibilities that you have to take over. Business expenses are just one of them. Even though you might feel good about having a bigger budget, you will find it annoying to file tax reports. Overspending is often a case, and precisely because of that, you need to track your business expenses. When traveling, make sure you keep every receipt and categorize it accordingly. There are several apps that allow you to scan the receipts and store them on the cloud. The move might seem simple, but it’s a bookkeeping tip that every small business can’t survive without. By tracking your business expenses, managing your budget and filing tax reports will be much easier. At the beginning of every company’s life, you can most certainly handle all numbers by using off-the-shelf software. However, once you start experiencing growth, you might feel overwhelmed by the sheer number of tasks needed. Keeping track of everything is important, but many companies tend to shut down because they’re hesitant to hire a professional. Although it may seem like hiring a professional bookkeeper is unnecessary spending, it’s a massive benefit that can save you a whole fortune. Letting a professional handle your bookkeeping will free up valuable time you can use to focus on making your business grow. Associating yourself with a professional is an investment for the future. Bookkeeping is both monitoring the growth of your company and working from deadline to deadline. From tax reports to building business credit, it’s always beneficial. Tax reports have to be filed, but even the most important deadlines can be missed if you’re overwhelmed. Thus, before undertaking anything new, you should write down all upcoming deadlines and obligations. Having visible dates will allow you to run your small business without unnecessary stress. Additionally, missing deadlines and ignoring obligations will only bring you problems with the law. The IRS has many useful tools for calibrating your calendar. If you’re more of an old-fashioned person, you can write them down on a piece of paper. Knowing your deadlines allows you to plan accordingly and increase revenue. Every small business relies on impeccable bookkeeping. Implementing these tips will require minimal effort and bring you maximal results. Remember to always be organized, prepared, and aware of upcoming deadlines. With recent developments in technology, you will rely on software to do the heavy lifting. Just by implementing these tips, you will ensure a fast and beneficial period of business growth. 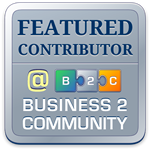 Scott Mathews is a professional content writer in such topics as bookkeeping, work productivity and marketing. Scott`s the biggest passion is blogging and travelling. He regularly takes part in different career growth conferences and contributes his posts to different websites. Contact him on Facebook and Twitter.